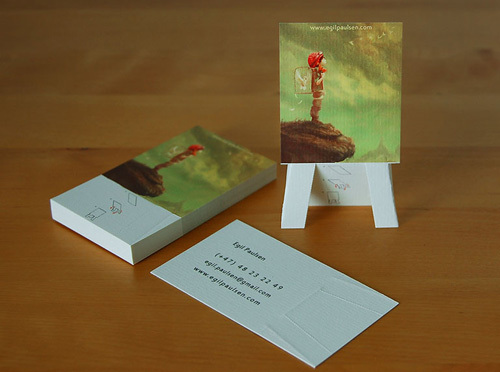 Unique business card concept that turns an ordinary card into an artist's easel with simple directions. 'This is a personal project. I offer services ranging illustration, concept art, graphic design and more computer science related things like web design and programming.